Disney’s distribution partnership with DreamWorks continues to do well for both parties with the release of “Lincoln,” the Academy-Award winning film from director Steven Spielberg that brilliantly portrays a rather brief, but extremely tense and historically important period in the life of the United States’ 16th President. The film isn’t for everyone, diving deep into the nitty gritty of lawmaking, but including enough humor and balancing politics with the importance of family to offer a glimpse at what Abraham Lincoln, the man, would have been like to work and live with, especially amidst the turmoil of permanently and legally abolishing slavery. Daniel Day-Lewis delivers another stunning character portrayal, this time fully embodying the role of the man every American thinks they know, but doesn’t fully understand until either seeing this film or reading the book its based on, “Team of Rivals” by Doris Kearns Goodwin. On Blu-ray, Lincoln looks fantastic, never gritty or dated in appearance, despite its centuries-old setting. The film was shot with each frame telling a story, even without dialogue, focusing on long, slow shots capturing not only what is said, but also how it’s said and how the speakers react to their own words. But those words are indeed the stars of this film, with stretches of lengthy speeches managing to keep viewers intrigued by the nuances of each character’s portrayal. And the subtle sound design of ticking clocks and horse-drawn carriages keeps audiences inside this world, crystal clear in the home release. “The Journey to Lincoln” provides and overview of why Spielberg chose to make the film and the history behind his eager collaboration with Doris Kearns Goodwin and screenwriter Tony Kushner. The tale continues in “A Historic Tapestry: Richmond, Virginia,” the shortest of the group that showcases the surprising amount of real-life governmen buildings in Virginia used to shoot the film, even transforming one into the White House. “In The Company of Character” focuses on the authenticity of each actor transforming themselves into their respective characters, particularly Daniel Day Lewis’ portrayal of Lincoln. Unfortunately neither this nor any of the other extras ever once shows a behind-the-scenes single clip of Lewis acting as Lincoln, leaving viewers only with photographs and the film itself to take in his Oscar-winning role. “Crafting the Past” dives deep into the film’s production design, costuming, and make up, the former of which is elaborate and period accurate while the latter is surprisingly simple, devoted to creating a “feeling” of the era, not a recreation. “Living With Lincoln” and “In Lincoln’s Footsteps” conclude the series of extras focusing on the ending of the film and its editing, sound design, and John Williams’ musical score, written with the music Lincoln could have really heard in mind. “Lincoln” is a fascinating and captivating journey into the life of what many regard as the greatest United States President to have ever held the office and the Blu-ray bonus features emphasize how the importance of the figure was felt deep inside every person who worked on creating the film. 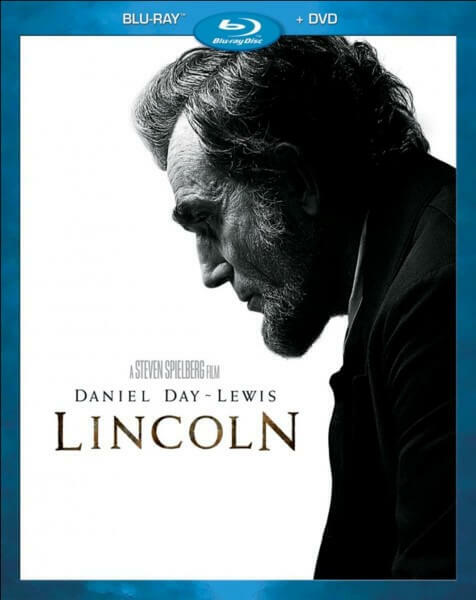 “Lincoln” is available today on Blu-ray from Amazon and other major retailers.